Increased private sector investment in tropical agriculture has created both hopes and fears for rural livelihoods in low- and middle-income countries. One of the major challenges is in empowering rural people to make informed choices, exercise their rights and have their voices heard when dealing with the government or the private sector. This analytical paper is aimed at legal empowerment practioners and analysts. 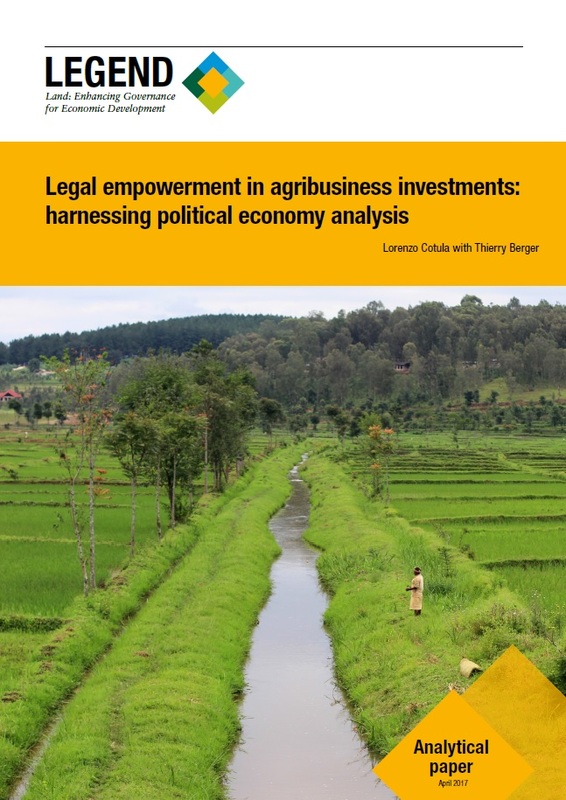 It explores how political economy analysis can help practitioners make sense of the issues, and distils insights from practical experience on how legal empowerment initiatives can rise to the challenge.